It has never been so easy to recreate an episode of "Pumping Up With Hans & Franz", the training program for serious weightlifters. 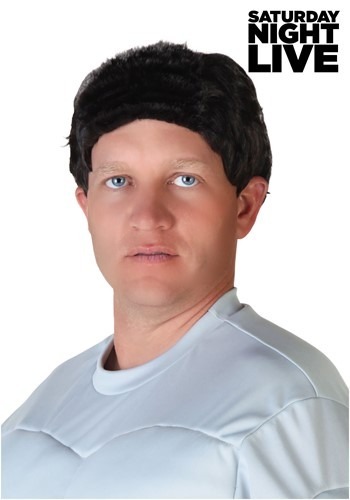 Wearing this licensed Saturday Night Live Hans and Franz Wig will transform you from just an ordinary “girlie man” into your favorite body builder! Just spend your time pumping iron, getting ripped and practicing your German accent. Don't forget the rest of our Hans and Franz costume accessories so you can spend the night flexing in style! Saturday Night Live and its related characters and trademarks are property of NBCUniversal Media. Licensed by Universal Studios Licensing 2016. All rights reserved.